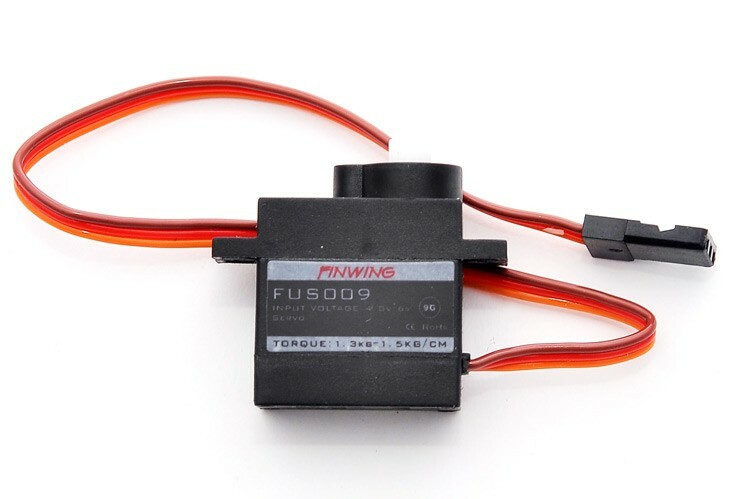 The Finwing 9g Servo can be used for any application requiring a proportional servo with a travel of 180 degree, with a low torque requirement. 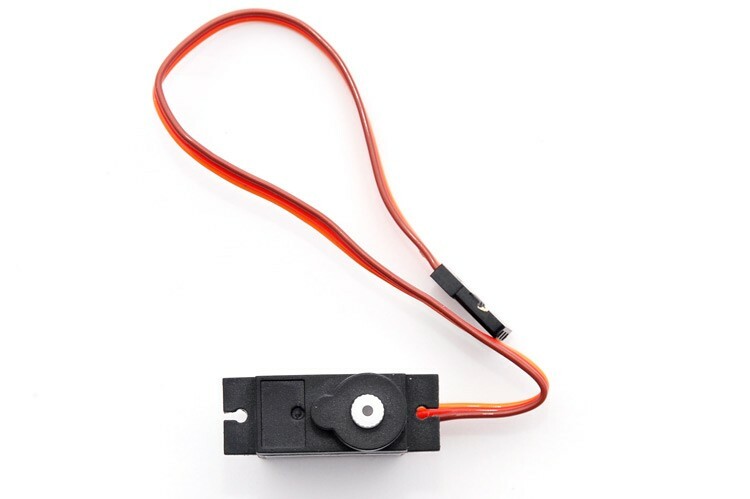 This is an ideal servo for small parkflyer aircraft requiring small yet powerful and reliable servo's with good centering accuracy. 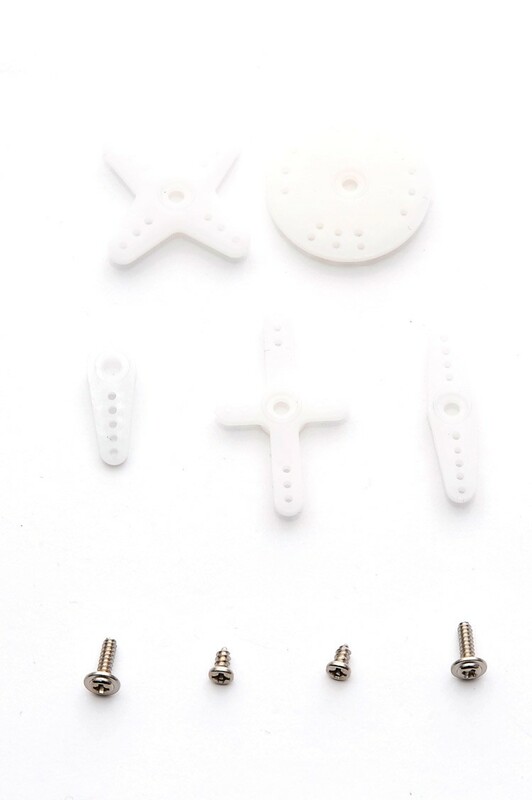 The servo is supplied with two mounting screws and a choice of five different arms to suit your needs. This servo is also used as a Rudder servo on both the Finwing Penguin and the Finwing Sabre aeroplanes. A standard 3-pin servo plug is used for connecting to your receiver (no tab). 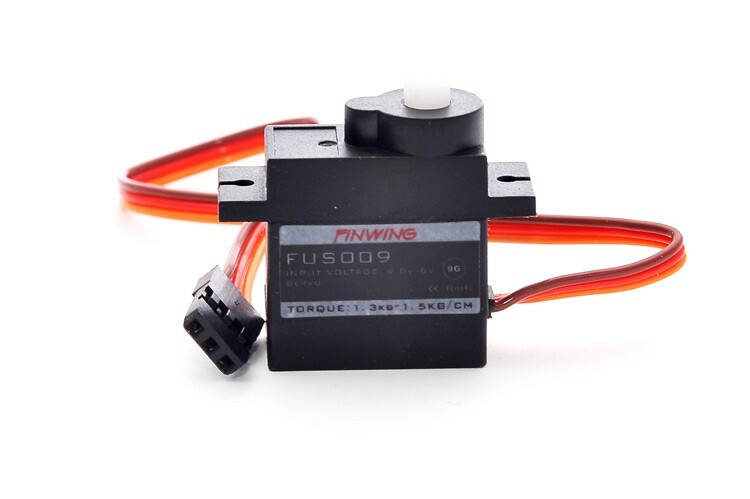 For Elevator and Aileron servo's, please use the Finwing 17g servo.